I will be down there tomorrow, I love a good vintage/interesting buses running day. Not very vintage on the 147 a few Tridnets and ex Arriva Volvos. I observed the evening extras on the 147 and again it was poorly used. I think the resources would be better used elsewhere or even provide a Beckton - Canning Town Service. The extra buses seemed to be bunching and not running to any type of schedule. The 147 /241 can easily copy with any extra passengers between Prince Regent / Custom House - Canning Town. And yet, this side of the river, the 180 and 199 were packed, with no extras running on either route! Abellio ran some extras on the 161, and these were very well used though. Which section of route D3 had DD extras (as the Wapping section probably can't takr DDs)? Could anyone please share any links for this years DLR extras? Sadly the DDs were missing out the Wapping section, running direct along The Highway instead. 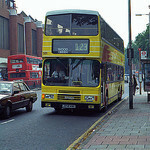 In addition to WH Tridents, the D3 also saw extra Darts (running via Wapping) from Trustybus and Hire Your Transport. 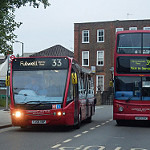 Coincidentally both operators were using 03-reg ex-Metrobus Darts: Hire Your Transport had former 216, with LEDs correctly programmed for the D3, while Trustybus had 278 and one other, with very little clue as to what they were doing. Actually, those "D3" extras ran such a different route to proper D3, I wouldn't use that number. Honestly. D3a (as Imma call it), started at Crossharbour - yep not kidding, followed D8 lor precisely into Canary Wharf, then went D3 lor but skipped Wapping, and entered Shadwell via the 100, and turfed off at Royal London Hospital in Whitechapel. I dunno whose idea it was to say this was a D3! Best is that iBus was able to announce most stops - despite not being logged into LVF - and claimed this was going Bonner Road too - good luck with that! On top of this, as of Thursday, only one TA had the paper - other had nothing! Because of this rather erratic run, it had verrry light loads, and seemed more like a waste of space and money. SD D3 extras ran the whole thing properly. I can't wait for round 2 to happen, I badly need to track down an MD on the 474 - wasn't there PM peak when I turned up into Canning Town which was mad chaos, largely due to District line dying too, and a tow of 2 115s and 5 still not being enough to cope with the crowd. Looks like another strike will go ahead Friday. Users on social media seem pretty miffed about traveling to the Marathon being disrupted (I agree with them). Would be difficult to even try and run any extra buses over the weekend due to the amount of road closures. Publicity of the strike has been pretty poor IMO, this appeared on the TfL website today and TfL are still saying it may not happen. Even though the RMT last week confirmed that it will be?? Extra buses are booked for all four days of the strike. 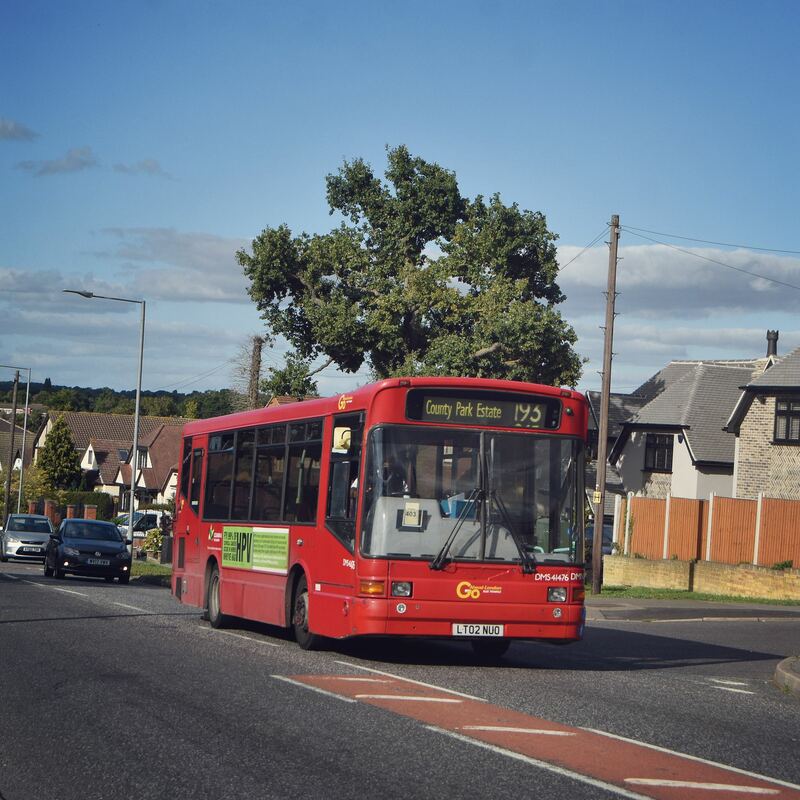 But with a reduced number on Sunday, due to the road closures and a large number of the Ensignbus fleet being involved in the Marathon anyway. I think the hesitation from TfL is that the unions and DLR management are in discussions today and possibly tomorrow to try to reach a settlement. I expect the TfL info will ramp up somewhat *if* the talks break up without agreement. The IoD will effectively be cut-off on Sunday. Large-scale road closures + no DLR: very difficult to commute! Looks like the DLR strike is ON.